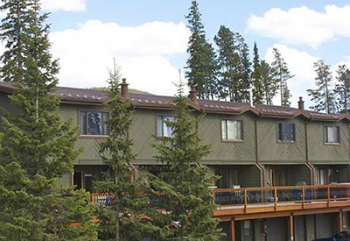 Charon Pines condos for sale are set in the pines, high on the mountainside across from the Breckenridge ski resort. 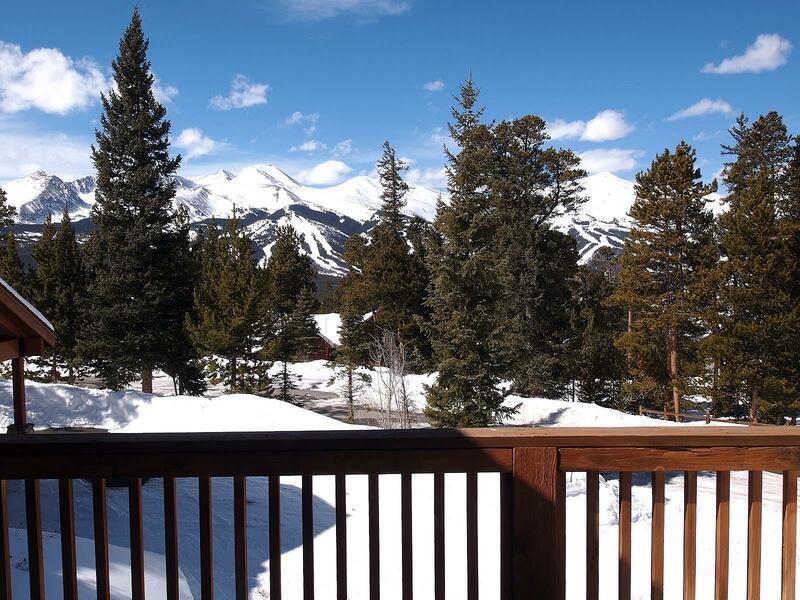 The views to the west, and the ski runs on the Ten Mile Range are phenomenal from these homes, and the Colorado sun baths these condos all year long. Charon, a word from Greek mythology meaning fiery brightness, might have been chosen to describe the warmth and sunshine abundant at Charon Pines, or the views and the amazingly blue Colorado sky. 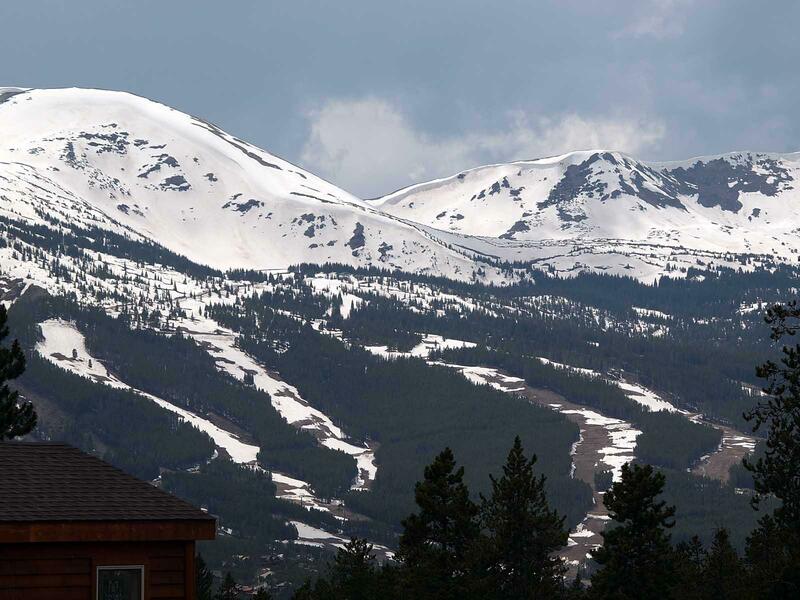 You can start your search with the Charon Pines condominium listings found below, or read more about this beautiful area of Breckenridge. Not far from any Charon Pines Condo for sale is the trailhead that will lead up Baldy Mountain to one of the best preserved mills from the 1880s mining boom, which sits about midway up to the peak. The Baldy Mountain trail connects to several others trails making this area a Mecca for mountain biking, hiking and cross country ski outings. Charon Pines are two-level condos side by side, like row houses, in two buildings facing west - with terrific views. The floor plans are open with big windows to enjoy these views from the second floor living areas. Bedrooms are on the lower level. Each unit has a garage and basement, as well as a small common parking area. The free town shuttle bus stops just a few steps away on Baldy Road. Size: 1150 sq. ft to 1100 sq. ft. Amenities: views, townhouse-style, parking, bus route, trail and forest access. At the last stoplight on the south end of Breckenridge turn left and follow Boreas Pass Road for 2 miles. Turn left on Baldy Road/ Co Rd 520 and continue for 1.2 miles, turn right on Fuller Placer Road/Co Rd 523 for .1 mile. Turn right onto Club House Road/Co rd 525 and Charon Pines will be on the left - 0053 Club House Rd. Contact Breckenridge Associates to speak to someone about your real estate opportunities in Charon Pines or any other Breckenridge community.